I'm standing in the extreme southeast of Cambodia, in Bavet Village, right by the border with Vietnam. This part of the country was known to US soldiers during the war as the ‘Parrot’s Beak’, an apt name for the shape of the border which reaches deepest into Vietnam. 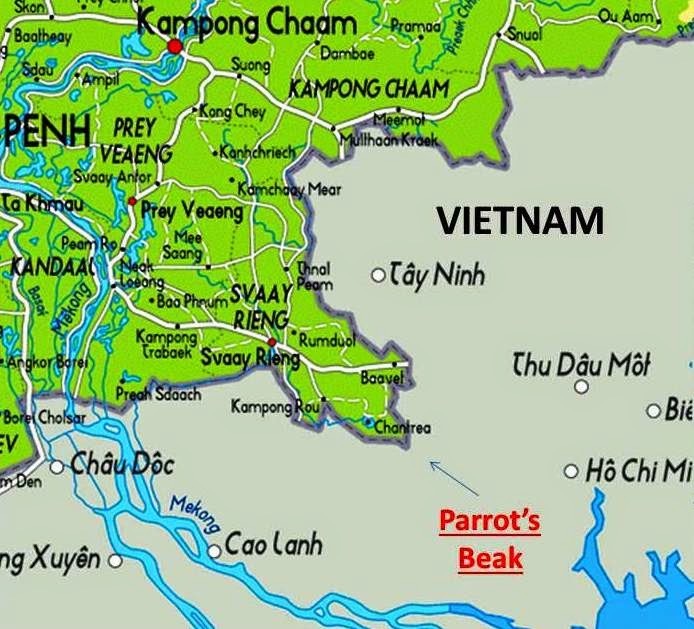 The tip of the parrot’s beak is only 35 miles from Saigon, which made this border a major smuggling route for the Ho Chi Minh Trail. A lot of blood was spilled fighting over this strategic zone, where communist weapons and troops flowed eastward to fight the Americans. When the US war ended in Vietnam, that wasn't the end of fighting at this border. Soon the Khmer Rouge began raiding nearby Vietnamese villages and massacring civilians there, as they aimed to take back their former lands on the Vietnam side. That turf is what Cambodians call ‘Khmer Krom’, meaning Lower Cambodia. Their former lands used to reach across this border all the way to the South China Sea, and included the Mekong Delta. It's still shown on many Khmer maps as part of Cambodia today. Two of Pol Pot’s powerful inner circle were born in the Delta in Khmer villages, on Vietnamese territory. Ieng Sary, the Khmer Rouge Foreign Minister, and Son Sen, the Khmer Rouge military chief grew up there. Like Khmers living in the Mekong Delta today, they endured discrimination by the Vietnamese. This helped form their dislike for them, even though they were fellow communists. It was these territorial claims that led to war here after the US left, war between the Khmer Rouge and Vietnamese communists. It was only a few years after the US left, when the Vietnamese Army invaded Cambodia on Christmas day in 1978, on this road where I'm standing. The former communist allies were 'comrades' no longer. This time the invading Vietnamese Army would overthrow the Khmer Rouge. A 'Winn Casino' limousine by the border. Casinos have taken over the former battleground of Bavet. As I leave the immigration post and walk into Cambodia, Vietnamese are still invading this border town today. Only now, they aren’t soldiers. They’re gamblers! Just steps away from the border itself, I find the Le Macau Casino, VIP Casino Hotel, King’s Crown Casino, Winn Casino Resort, Las Vegas Sun Casino, New World Casino, and finally the Sun City Casino. This former hick border town and war zone, has turned into a gambling haven! “Vietnam people come here,” a Khmer tells me. Gambling is illegal for the people of Vietnam; a people culturally known for gambling. Enter the current Cambodian government, who built all these casinos only in recent years. More are under construction. I walk into a couple casinos, finding them small and unrefined. Make no mistake, this is no Las Vegas. There are no elaborate stage shows or magic acts here. They may have pirated some Vegas names for these casinos, but the gambling is real enough. Well, at least these places are air conditioned. I had already seen the ruin of an old French colonial casino, but these are totally different. The casinos here are obviously for the benefit (or to the detriment of) the Vietnamese. With most of the gamblers coming from across the border, staff here speak more Vietnamese than English. Since casinos in Saigon are open only to foreigners, (and since Saigon is so close) Bavet is where rich Vietnamese go to gamble on weekends. One casino is literally right next door to the border crossing. Just take the first left after immigration. Besides these copycat casinos, there’s not much more to see in this small border town. Poverty is still evident, as run down shacks are situated right next to some casinos. There are a few passable guesthouses in town for those with a gambling itch that want to spend the night. As for food in town, most restaurants here cater to the many buses stopping for lunch. They roll into Bavet from Vietnam on Highway 1, before continuing on to Phnom Penh. On this very highway an unsolved American mystery began. It was here in April of 1970 where journalist and former actor Sean Flynn disappeared. 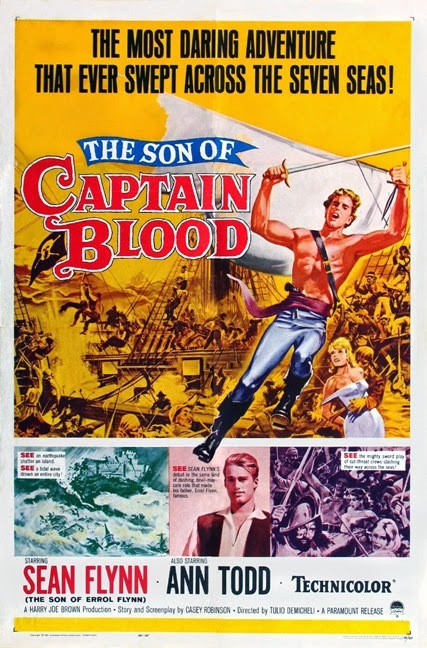 The son of movie star Errol Flynn, Sean had turned his back on Hollywood, and proved himself to be a daring war correspondent. He had years of experience reporting on the Vietnam War, but in Cambodia, the conflict was different. In Vietnam, most foreign journalists captured by the communists were eventually released. But in Cambodia, most foreign journalists captured by the communists ended up dead. Flynn had been traveling together with Dana Stone, a freelancer for Time Magazine and CBS. Missing here in Svay Rieng Province, they were captured outside the village of Chi Phan, just up the road from where I stand now. The two had crossed the border here in Bavet and headed up Highway 1 on motorcycles, only to be captured by the North Vietnamese Army’s 9th Division. Years later, it was discovered that the two MIA journalists were moved north to Kampong Cham Province, and turned over to the Khmer Rouge. There the trail disappears. It’s believed that they were executed the next year. After several searches, dental remains were found that may have belonged to Stone, though DNA tests were inconclusive. As for Sean Flynn, his remains have never been recovered. Flynn and Stone were only two of the 34 journalists who died during the war in Cambodia, while 33 other journalists died across the border covering the war in Vietnam. Strangely, Sean Flynn became the single most famous person that was Missing In Action during the long war in Southeast Asia, and he wasn’t even a soldier.